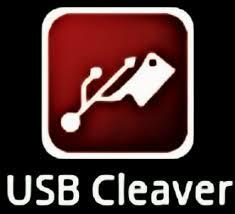 The main aim of the USB Cleaver Apk is to silently recover information from a target set of the Windows 2000 or even the high set of the computer adding on with the password hashes, LSA secrets, IP information and much more. Hence the beauty completely lies in the fact that the payload can run silently and without modifying the system or sending network traffic just as by far making it near invisible. 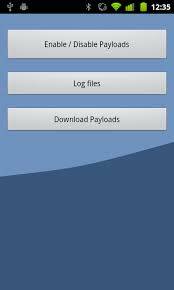 It captures all the information in a LOG file stored in your sd card and hence it can be reviewed at any time. Select The Payloads: It would also allow you to select the payloads you want to use. It is also holding the feature as where it will temporarily be removed disclaimer screen causing possible F/C on top of the first run. Other Features: It can hence fix possible bug causing force close on the first run. It would fix the issue as were starting an application with SD Card mount causes F/C. SD Card: It is also adding on with the new BG to show out if the SD card is all the more not available. Change The Main Background: It can also change the main background and Gaussian Blur the line in the middle. 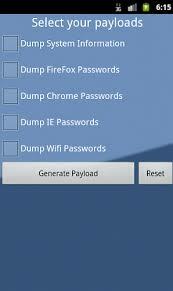 It can dump LSA Secrets and also xCopy files “documents” and so as the pictures.